I'm a Food Network junkie and that's no secret. Being one, I never fail to watch their reality show 'The Next Food Network Star' and this year's winner is Aarti Sequeira. I have started to watch and record her show that airs on Sundays and so far, I like what I see. She's very easy to watch, very relaxed and approachable and all in all, I like her energy. More importantly, her recipes seem scrumptious, yet doable in common households at the same time (except that you may have to add some exotic Indian spices to your kitchen inventory). The ingredients are extremely easy to find and the procedure cannot be any simpler. All you need are evaporated milk, condensed milk, heavy cream and then she infused those liquids with the flavors of earl grey black tea, cardamom and pistachios. Aarti was absolutely right when she said that if you've tasted chai tea, then you've tasted cardamom, so don't be too intimidated by it. I should warn you though that it is quite pricey. When I bought a bottle last year, I believe it cost me approximately $14. A little goes a long way though so one bottle will last you for years. Yesterday, I finally made the recipe and let me just say that it blew me away! I was skeptical at first and thought the creaminess was just some camera trick they did. Well, it's not. 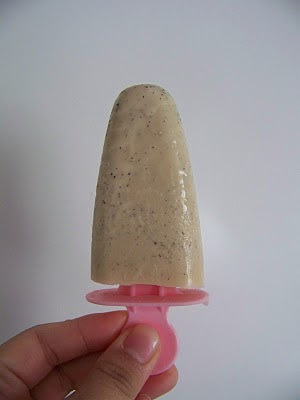 It's as creamy as real ice cream can be and what excites me is the fact that I think I can play around with the flavors. When I did this, I skipped the pistachios since I did not have any in stock. It still tastes amazing. After tasting one, I honestly thought that it's a little too sweet but I guess if you want that sugar fix then one pop will do it for you. Next time, I'm planning on cutting on the condensed milk a little bit and just compensate with some more heavy cream so as not to affect the creamy texture. If you also have family members who are not too crazy about the flavors of cardamom (like the hubby), then I think you can infuse your creamy pops with chocolate/cocoa, vanilla and coffee, to name a few. That is my plan next time and I will make sure to let you know how it turns out! Another thing I want to mention is that in Aarti's recipe, it says that it can yield between 6 and 8 pops. I bought my molds from Ikea and since they're smaller than the ones used in the show, I am able to produce between 12 and 15 pops. 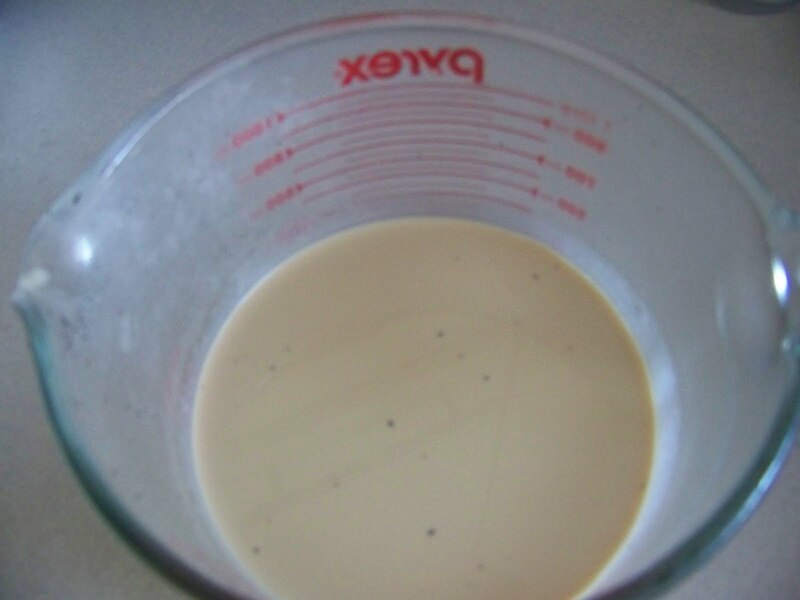 In a small saucepan over medium heat, bring evaporated milk to a simmer until small bubbles form around the circumference of the pot. Meanwhile, snip the tops of the tea bags and add to the milk. Whisk in cardamom. Once the milk is simmering, turn the heat off, cover and let sit and steep for 30 minutes. Strain the evaporated milk into a large bowl. Whisk in the condensed milk, heavy cream and pistachios. Either pour the mixture into ice pop molds, small bowls or a large bowl. Cover the bowls with a piece of plastic wrap to avoid freezer burn and the formation of a "skin". Pop them into the freezer and freeze overnight. 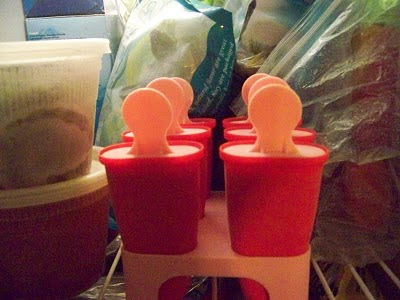 When you're ready to serve, run the ice pop mold under hot water to loosen it. You can do the same thing for the smaller bowls if you'd like to serve it as a little kulfi half dome. Garnish with more nuts if you like and serve. Ooh, I'd love to try this one of these days...I can omit the cardamom, right? I don't think I can find that here. i remember when i was in bahrain and asked the tea man (as opposed to tea lady) to please make me some tea with milk, he came back with my tea, looked at me and smiled as if encouraging me to drink my tea while he waited. i finally blurted out 'you know there is something weird about my tea some mornings, there is an extra taste'. he then said, aha, it's because there is cardamom in the milk! so there is flavoured evap milk with cardamom. wala lang i thought maybe you can use that instead of buying expensive cardamom. hehehe.